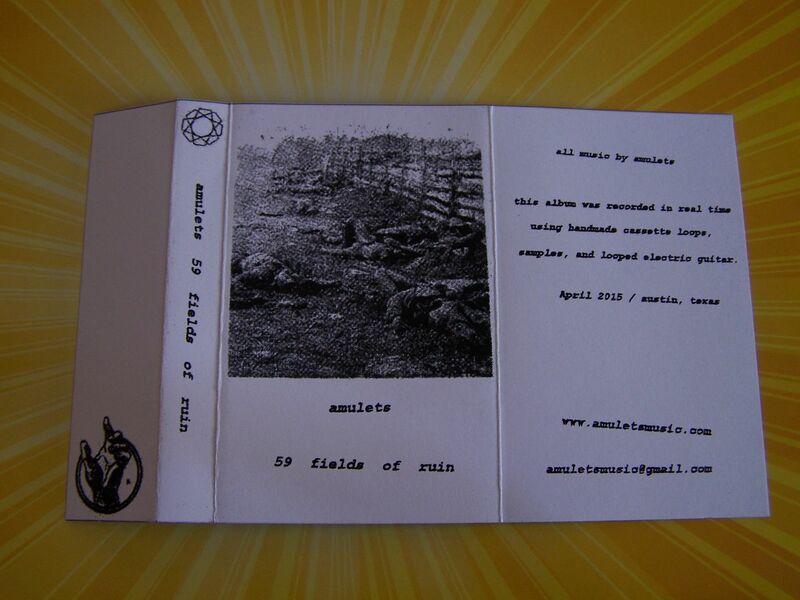 Raised by Gypsies ::: Cassette Review: AMULETS "59 FIELDS OF RUIN"
Cassette Review: AMULETS "59 FIELDS OF RUIN"
When it comes to AMULETS the sounds that I can hear coming out most on the surface are those of two prominent genres that may or may not exist outside of my little world of listening to and writing about cassettes. 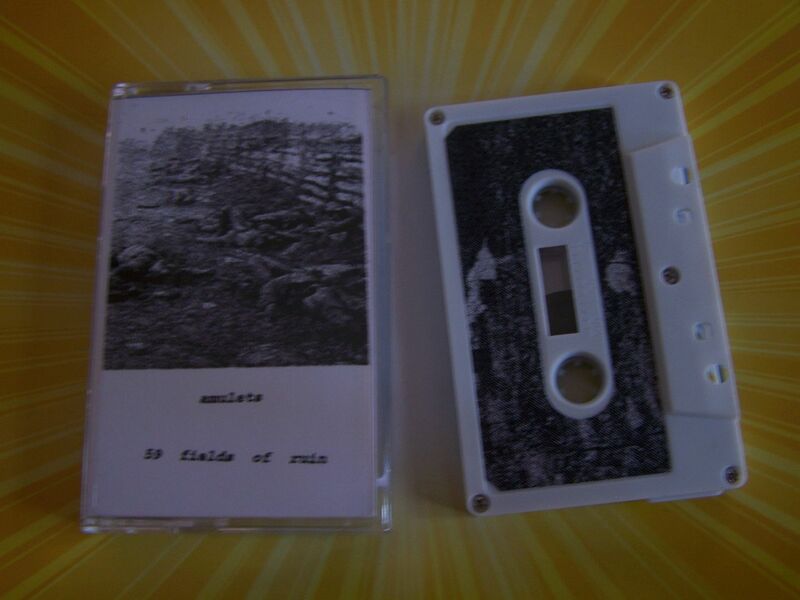 While this has been done most recently with some of those "ambient + electro" cassettes I've heard, AMULETS offers up their own new version of combining two somewhat different styles to create one new sound. 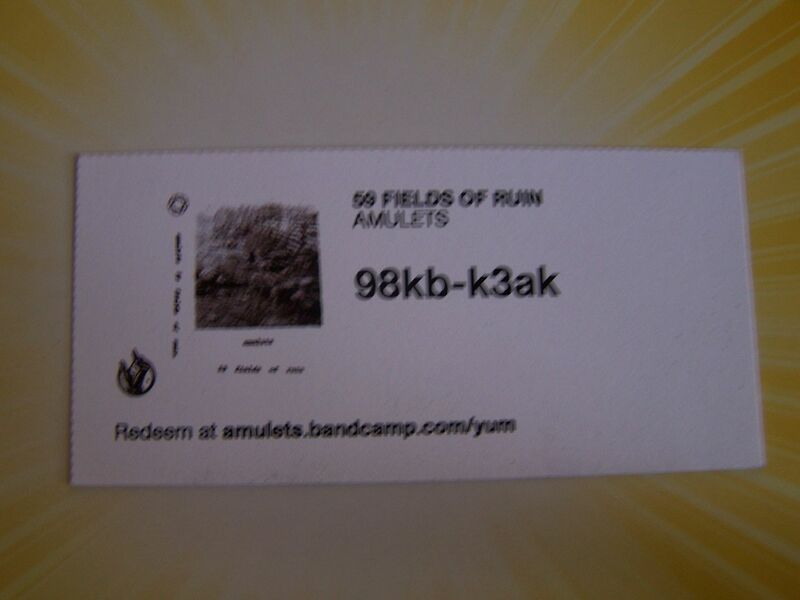 The two sounds I hear being combined on "59 FIELDS OF RUIN" are the ambient/FNL guitar type of synth and then the distorted space synth. Now, on the surface it might not seem like that far of a stretch to mix these two sounds, I mean, they do both end with the word "synth", but that couldn't be further from the truth. 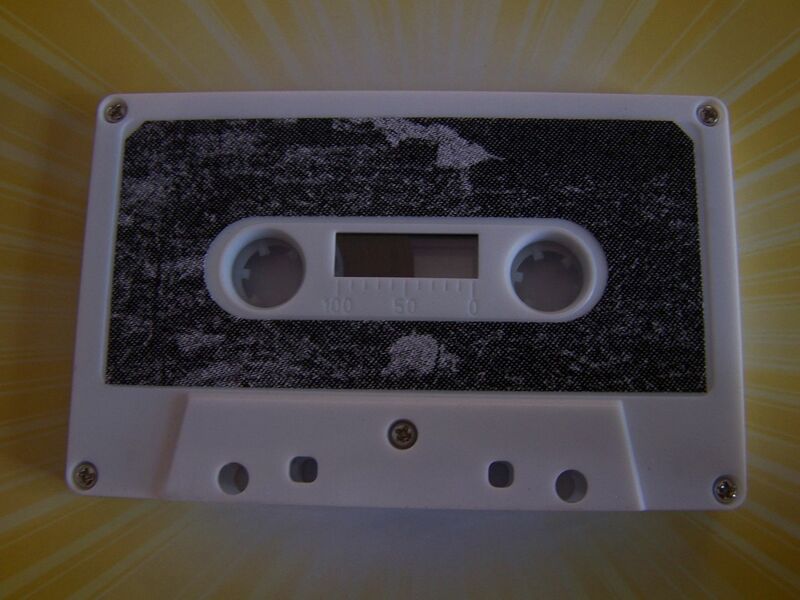 The sound of ambient/FNL guitars is one of a calm reserve. It's sometimes referred to as "post rock" but I try to stay away from that label because I tend to find that artists labeled as "post rock" and my ears don't get along. 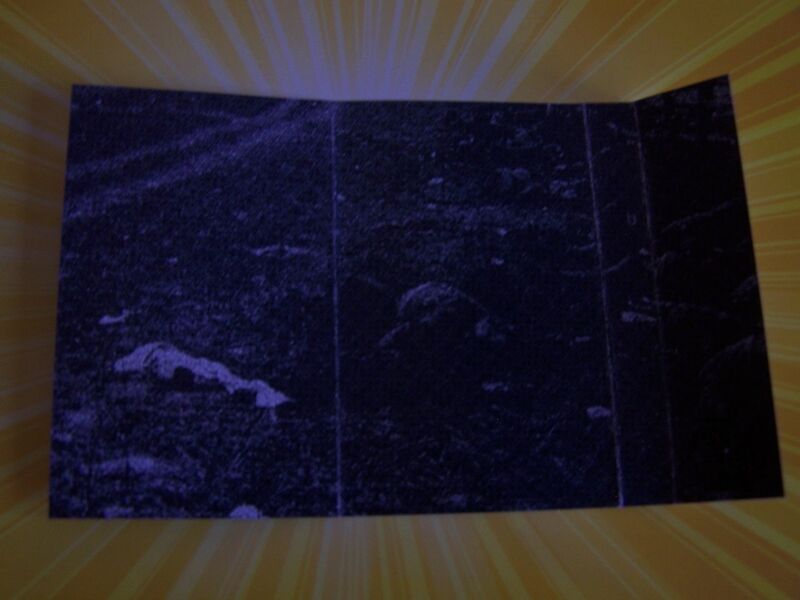 The idea behind the ambient and FNL genres though is just about being quieter, solemn and just something you might put on for a long drive but kind of might not want to because it could leave your mind wandering. On the other side of the combination is the whole distorted space synth idea and in this realm of sound I like to think of it as "anything goes". Depending upon your age, it's that free-for-all in space that can be attributed to either Han Solo or Star-Lord. There is beeping and some sharpness on "59 FIELDS OF RUIN", but the idea behind it all can lead to space lasers and just an all out space war. 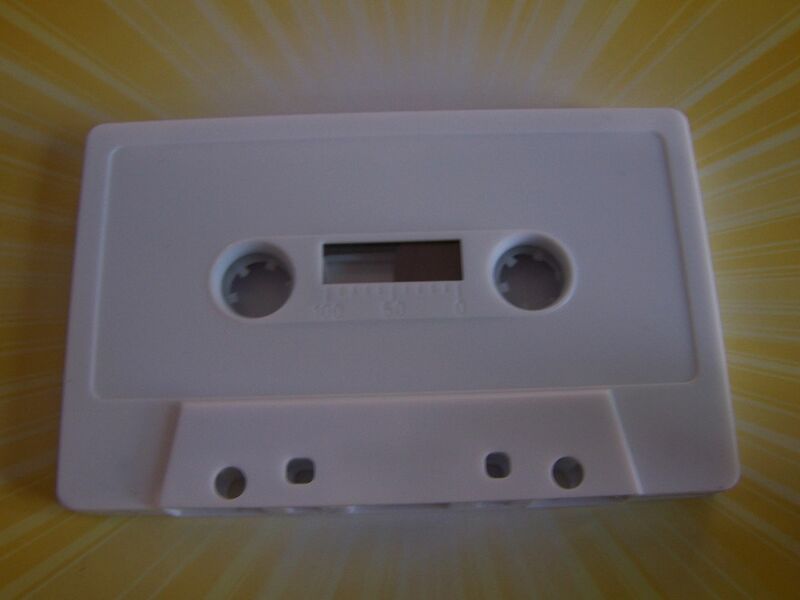 While that does not happen on this cassette, feeling on the verge of that- that idea that it could happen at any second- coupled with the calm of the ambient/FNL sounds is just somewhat nervewracking but in a good way. Side Note: I've listened to this the appropriate number of times through, but am still reminded of something that is a notion I subscribe to and believe I first heard articulated by Screech on "Saved by the Bell". Let's say there is a movie you watch and the main character dies in the end, but every time you watch it you just hold out that hope that maybe this time he won't die at the end. It seems silly, but I think in some ways we all do it. 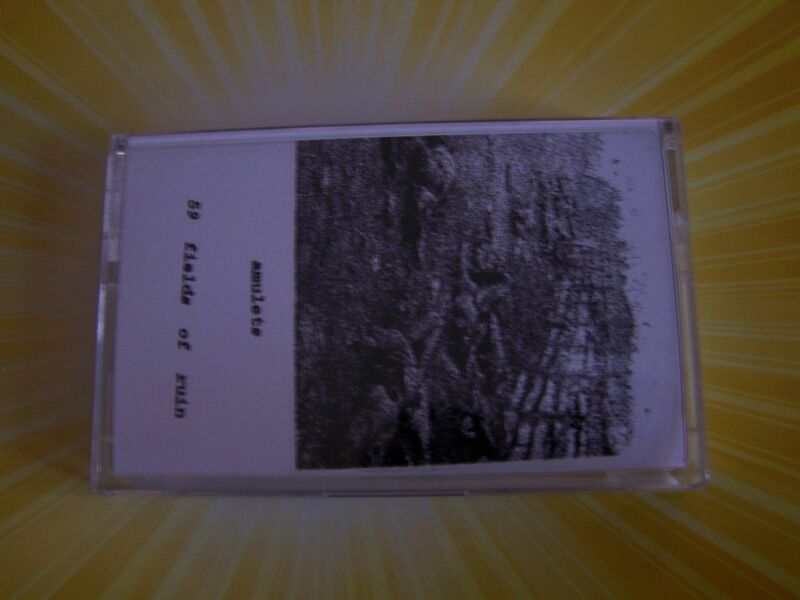 And if not with film, then I can tell you that I am guilty of it in the sense of music because even after listening to this several times through, putting it on for the fourth or fifth time, I'm still waiting, thinking that maybe this time it will turn into that intergalactic space battle. 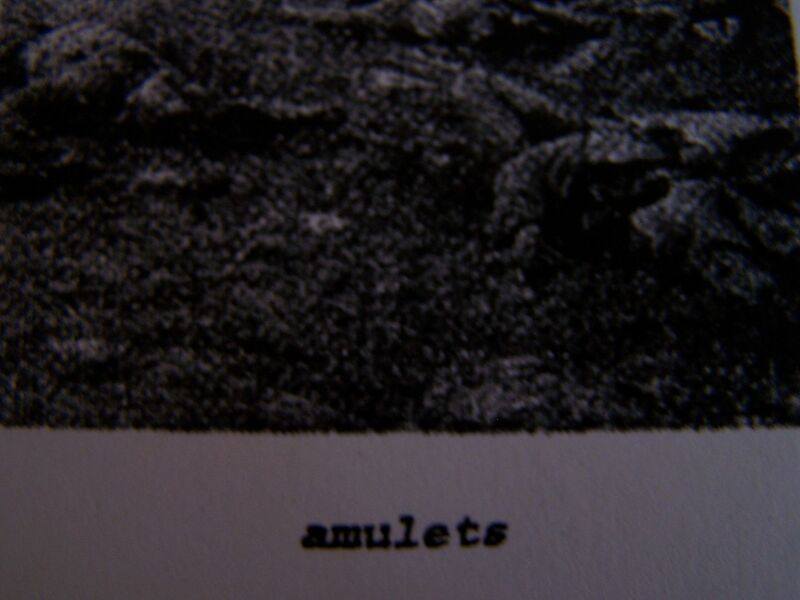 While "59 FIELDS OF RUIN" can take a turn into that Nine Inch Nails feel that goes "into the great below" darkness, yet also have that sad string and underwater feel to it, the best way to describe this music overall is simply to call it distorted melodies. I'm not sure I've ever used that pairing of words before, but it is definitely a new sound even if I have and it is definitely worth listening to every second over and over.